My name is Iris and I write one-woman-shows. 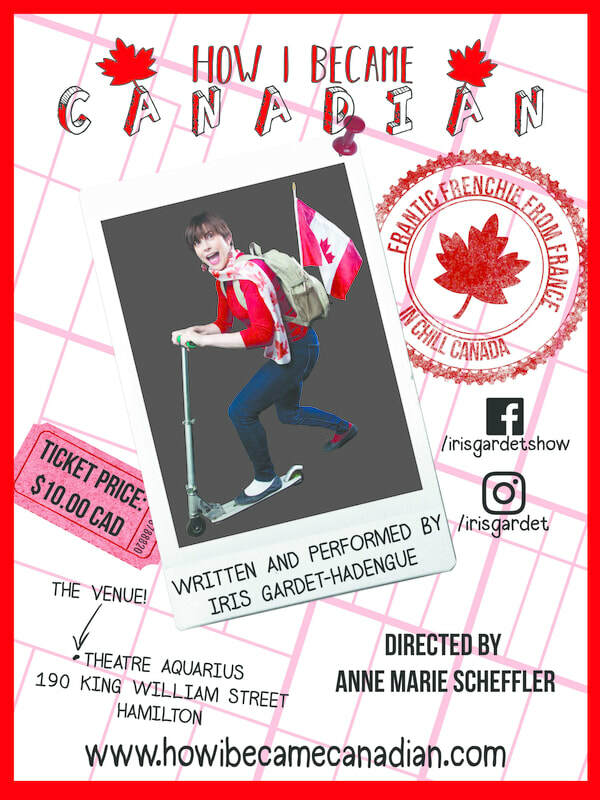 ​The first one I performed at the Hamilton Fringe Festival: Pardon my French, The Tales of a Parisian Mom in Canada. I wanted to share the comic adventures I went through during my first year in Canada: spending my full day with my 2-year-old son, being fully available for my husband, juggling visits at the doctor's and my 4-year-old son's talks in Junior Kindergarten. ​That was hectic! It made me more obsessive than ever. I imagined being a housewife would be easier than working for a stressful boss in my office job but it wasn't. At all. All the contrary. I wasn't sure who was the new boss: me, my husband, my baby boy, my elder son, the baby sitter? You can check with that show that truth still is stranger than fiction! In my second show, I explain to my Parisian friends who would like me to stay with them in France, how much I became Canadian, after receiving a VIP treatment at the movies, and receiving so much snow while shoveling. I could do without the hungry squirrels and raccoons who watch out for my Jack-O-Lantern every Halloween, though.